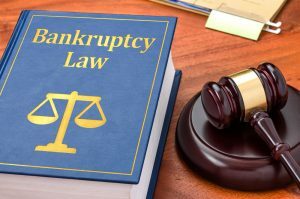 Home » Blog » THINKING ABOUT FILING FOR BANKRUPTCY? HERE ARE 5 THINGS NOT TO DO! Bankruptcy is the legal process that happens when a person, or organization, doesn’t have the money to clear all their debts. People that file for bankruptcy do it when they are in a demanding financial condition that can be caused by high debts like medical bills, a divorce or even loss of a job or incarceration. Imagine your bills stacking up and not having enough cash to clear all of them, besides being in an awful situation, you would have to seek a bankruptcy lawyer in Phoenix to get more information about whether bankruptcy is a good option for helping to regain your financial footing. A bankruptcy lawyer will help you through the process and provide advice to save the assets you want to keep and to release the debts you don’t in a Phoenix Chapter 7 filing or even organize them in a way to end up with the most benefits with a Phoenix Chapter 13 filing. In Arizona, My AZ Lawyers has the training and experience required to advise you in everything you need for your specific situation. Each member of our team has the necessary knowledge to help you achieve debt relief. There are a few things you have to avoid doing in order to have a smooth bankruptcy filing. The first thing you have to do after you file for bankruptcy is to never use your credit card for any reason. If you want to buy clothes, do some shopping, get electronics, things you want for yourself, basically anything, your only option is to use a debit card with money you already have. Otherwise, just the cash you have at hand. Having a credit card is like having the option to take a direct loan to the bank so using it will lead to direct damage at your bankruptcy case. If you want to receive money, it should only come from sources of income like your job or freelance work. You should never deposit any check or amount of money that belongs to anybody, even accept them from friends and family that wants to help you. This will harm your case and your bankruptcy lawyer won’t be able to further assist you. General public frequently thinks that by transferring houses, vehicles, or money to other people, will save those assets from bankruptcy procedures, which is wrong. Even more, if you manage to do an asset transference to another person, it will be considered as fraudulent in court, so you have to be really careful with anything you do. If you ever think that clearing at least one of your debts is going to help you in your bankruptcy case, it won’t do any good and your bankruptcy lawyer will also advise you not to do it because it will lead to a preferential transfer. For more information, you can give us a call to bring you a complete information about what this means. As soon as you file for bankruptcy, every possession in your name, including payments awarded by lawsuits, will be transferred to the court that works on your bankruptcy case. In other words, you will not receive any settlement that has not been worked out. However, there are few exemptions that may let you have a percentage of the settlement’s amount. In some states, they can award you the total amount, but other states just give you a fraction of it, and finally some states will not have any kind of exemptions. Current funds in your possession, and all of the payments that you are waiting to receive in the future, will be part of your bankruptcy estate. Future payments includes tax refunds and also inheritances. Since you won’t have control of receiving this payments, be conscious that it will go straight to the court until your creditors are contented. 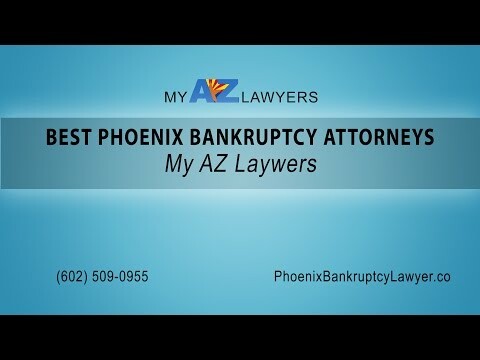 For more information about filing for bankruptcy, My AZ Lawyers in Arizona will help you whenever you need help. Don’t hesitate to give us a call if you have any doubt, our bankruptcy lawyers are more than happy to answer all the questions you have. We guarantee the best service at the most affordable prices.